….and here is the “finished” block! I thought I would take a break from the flowers, and leaves and vines. The birds on the next block of the Civil War Bride Quilt were calling my name! Okay, now I see it coming together! All the birds need now are some tail feathers and they are ready for take-off! « How Crazy Am I? The block has a more elegant look with the additional applique on the vase. Thanks…I agree! I am just glad I remembered to add the pieces to the vase! I must admit, I thought about leaving the missing pieces off. But I am glad I took the time to add them. Well thank you! I am having fun! Where were able to get the pattern for the Sue Garman quilt? You have inspired me to complete the Baltimore i started many years ago. Hi Susan: I love your blog! Quakertown Quilts carries all of Sue Garman patterns. 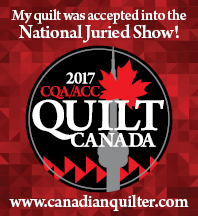 Here is the website http://www.quakertownquilts.com/. I have ordered from them many times. I did Friends of Baltimore as a BOM, so I received the pattern and fabric every month.